Potato Corner announced that it has opened its 1000th store in the Philippines, along Katipunan Avenue, White Plains, Quezon City. To celebrate, the brand is giving away 1000 regular cups for free. McDonald's Philippines unveiled its new Happy Meal toys – featuring ChoroQ and My Melody. 4Fingers Crispy Chicken shared pictures of its newly opened Junction 8 store. Starbucks Philippines unveiled its newest travel water bottles. Available in limited quantities only. Starbucks Korea unveiled its new SS Newport kale green tumbler, with an in-built, removable tea bag filter. Jollibee announced that its Funko Pop have already sold out in all of its stores. Followers can still however get one in select branches of Filbar's in Metro Manila. Starbucks Singapore unveiled its latest pastel, stainless steel tumblers, available for $39.90 each. Old Chang Kee Singapore is celebrating the Nation's Birthday in August. The OCK Coffee House at Rex will be selling Chilli Crab Buns with real crab meat for the month of August. Available while stocks last. Starbucks Japan unveiled its latest Marble Chocolate cake. Krispy Kreme Singapore is celebrating National Day by launching its new, Chili Series, from 1st to 31st August. 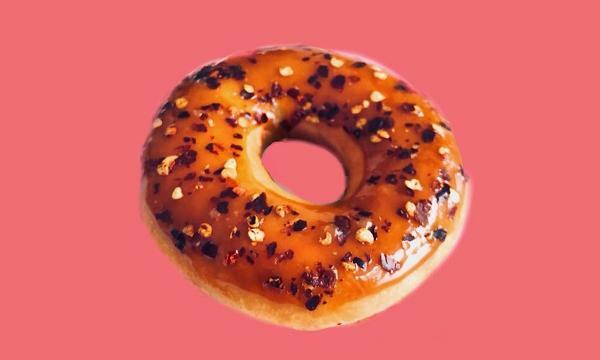 Starting with the Caramel Chili doughnut; a rich caramel sauce with chili flakes. J.CO Donuts & Coffee Singapore introduced its latest product range, which includes the Taro Swift Donut, a donut shell with Taro chocolate topping, dry coconut & taro sauce with Taro cream as filling; and the new Hot/Ice Taro dan Taro Frappe, a milky and sweet Taro based drink. Sakae Sushi Malaysia offered its customers 1-for-1 Red Plate sushi at all Sakae Sushi outlets with purchases made with a UOB Credit or Debit Card. Crystal Jade HK announced that its special offer to celebrate the opening of its new shops is coming to an end. The final offer is at MOKO mall in Mongkok. Customers who visit the MOKO shop from 30 July to 3 August, will get a free basket of Crystal Jade’s signature ‘xiao long bao’ (Shanghai soup dumplings) to their order on the house. Only 100 baskets will be given away per day while stocks last. Domino's Pizza Singapore gave away free regular pizzas to lucky winners of its Facebook photo contest. Yellow Cab Pizza Co. offered a special August promotion, Buy 2 Take 2: buy 10" BBQ Chicken Pizza + Large Hot Wings and get 10" #4 Cheese + Large Sriracha Chicken Poppers for P858. Starbucks Philippines is celebrating the fifth anniversary of My Starbucks Rewards in the country by rewarding customers with an additional five (5) Beverage Stars when they earn five (5) Beverage Stars from August 1-15. 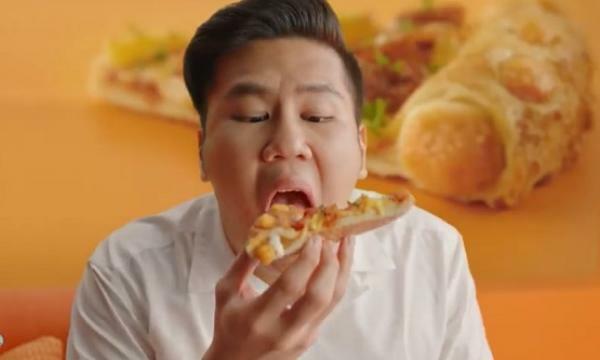 Papa John's Pizza Philippines offered a special end-of-July promo. All-You-Can-Eat Pasta for only P299, along with 50% off on selected pizzas. Domino's Pizza Malaysia offered a special 50% discount to celebrate its latest opening. 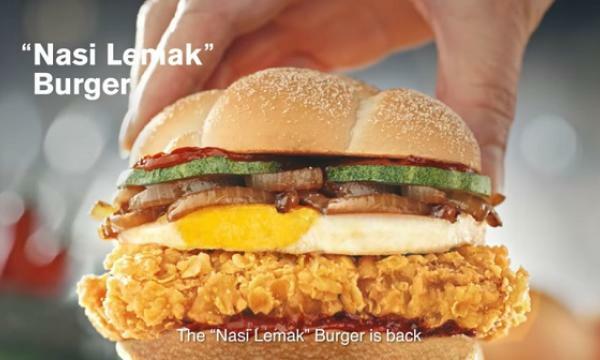 Texas Chicken Malaysia offered a special end-of-July promotion. Get a second combo meal for half the price with the purchase of any meal combo. ArmyNavy Burger + Burrito offered its customers free Freedom Fries when they order any ArmyNavy product from honestbee for a limited time. Mrs. Fields Philippines is celebrating its 41st anniversary by giving customers a chance to get a scoop of the brand’s nibblers for only P41. Until supplies last. Din Tai Fung Singapore is giving its customers the chance to win $50 Din Tai Fung dining vouchers in celebration of the nation’s birthday. Giveaway ends on Sunday, 5 August. Sushi Tei is celebrating International Friendship Day by giving its customers the chance to win dining vouchers worth total of IDR 300k. Sakae Sushi Malaysia is serving up its first ‘Ama21ng Treat’ for August. Chicking India is holding a photo contest on Facebook. Followers can get a chance to win coffee mugs signed by Mohanlal. Kyochon Thailand offered a special promo for its customers. Each purchase of eight fried chicken wings will get another eight for free for a limited time.